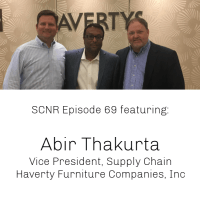 Abir Thakurta serves as Vice President/Supply Chain for Haverty Furniture Companies, Inc, where he is responsible for all things – supply chain at Havertys – strategy, planning, execution, orchestration and innovation. He is a supply chain enthusiast particularly known for championing effective digital transformational strategies to help drive profitable company operations while managing business risk. 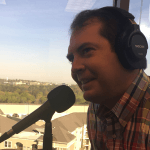 Ben Harris is Director of Supply Chain Ecosystem Expansion for the Metro Atlanta Chamber. Ben comes to the Metro Atlanta Chamber after serving as Senior Manager, Market Development for Manhattan Associates. There, Ben was responsible for developing Manhattan’s sales pipeline and overall Americas supply chain marketing strategy. Ben oversaw market positioning, messaging and campaign execution to build awareness and drive new pipeline growth. Prior to joining Manhattan, Ben spent four years with the Georgia Department of Economic Development’s Center of Innovation for Logistics where he played a key role in establishing the Center as a go-to industry resource for information, support, partnership building, and investment development. Additionally, he became a key SME for all logistics and supply chain-focused projects. Ben began his career at Page International, Inc. where he drove continuous improvement in complex global supply chain operations for a wide variety of businesses and Fortune 500 companies. Chris Barnes is a professional education instructor for the Georgia Tech Supply Chain & Logistics Institute’s Supply Chain Management (SCM) Certificate courses. Barnes holds a B.S., Industrial Engineering and Economics Minor, from Bradley University, an MBA in Industrial Psychology with Honors from the University of West Florida. He is a certified APICS instructor and holds CPIM-F, CLTD-F and CSCP-F designations. When not teaching, Barnes is a supply chain advocate and visionary with HighJump and frequent blogger at www.apicscltdcoach.com. 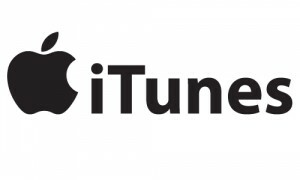 In 2016, Barnes partnered with Supply Chain Now Radio (SCNR) as executive producer and key contributor. SCNR is a social networking community organizing and sharing supply chain thought leadership through seminars, webinars, blogs and podcasts. Barnes has over 27 years of experience developing and managing multiple client, engineering consulting, strategic planning and operational improvement projects in supply chain management. Connect with Chris on LinkedIn and reach out to him via email. 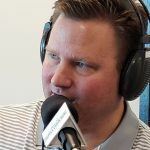 Scott W. Luton is the founder of Supply Chain Now Radio and also serves as Managing Partner for TalentStream. 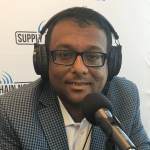 He has worked extensively in the end-to-end Supply Chain industry for more than 15 years, appearing in publications such as The Wall Street Journal, Dice and Quality Progress Magazine. 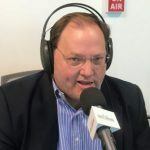 Scott currently serves as Executive Vice President of APICS Atlanta, was recently named a 2019 Pro to Know in Supply Chain by Supply & Demand Executive. He served on the 2018 Georgia Logistics Summit Executive Committee and currently serves as Chair of the 2019 Atlanta Supply Chain Awards Planning Committee. He is a certified Lean Six Sigma Green Belt and holds the APICS Certified Supply Chain Professional (CSCP) credential.